Update 6/29 - There are only a couple days left to get this deal. 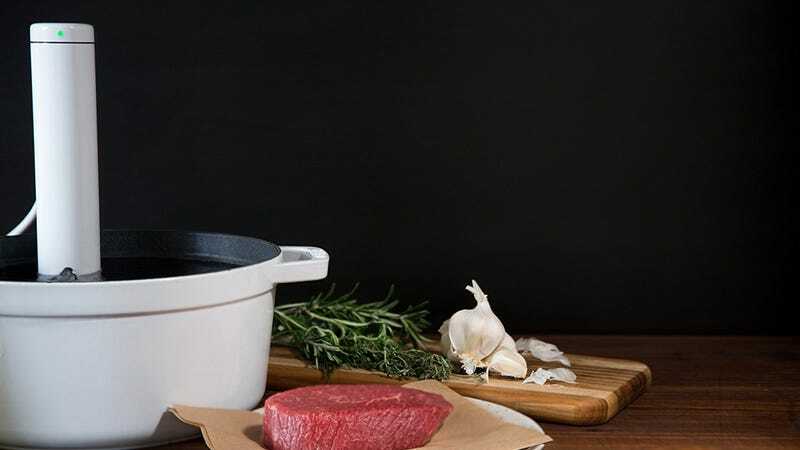 Anova dominates the sales charts, but in many ways (raw heating power, looks, size, software quality), the Joule sous-vide circulator is actually the superior product, and Amazon’s running a rare $20 discount on it, for a limited time. 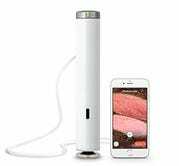 Promo code SOUSVIDETIME will take $20 off the original Joule White/Stainless Steel and the new Joule White. The White model is $20 cheaper to begin with, the only difference being the absence of steel accents; performance should be identical. If you don’t have any idea what the hell I’m talking about or why you might want to buy this, Lifehacker has a great sous-vide explainer here. Spoiler alert: It’s incredibly simple, and the results are fantastic.